There's a few ways, but the easiest way by far would be to use the Team View in landscape mode on your smart app. Find your team in the app ; then go landscape. The team view will appear, with a gorgeous and easy to use view of a single team. 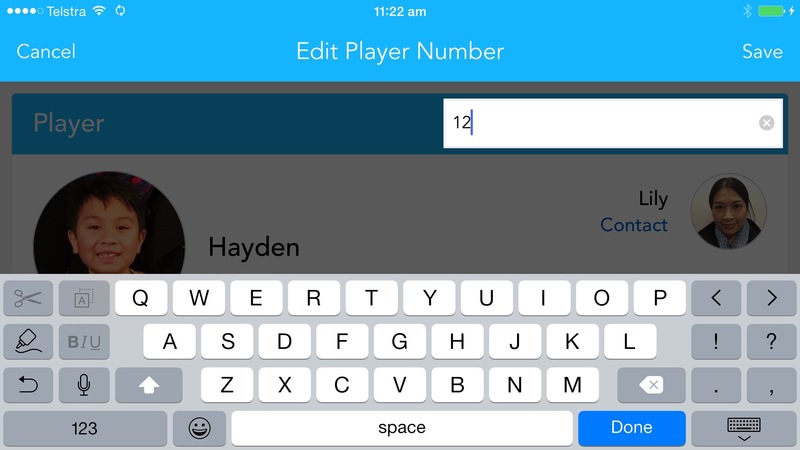 If you touch on the player at the top, then a player card is shown - including player number shown on the right. In this example above, I am updating the players number to 12. Once done - save is top right corner and you're done. You can always update your own numbers - coaches and managers can update anyone on the team.